BBC has released the list of top 100 influential and inspirational women of the year 2016. 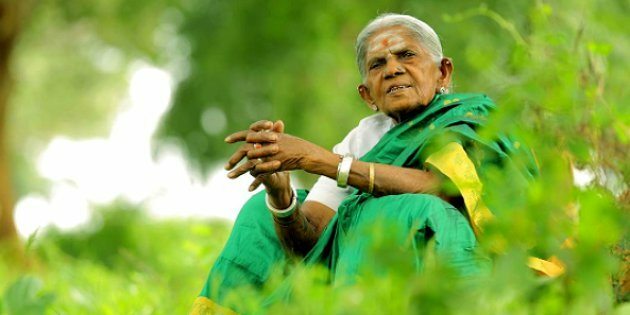 The 105-year old Karnataka-based environmentalist Saalumarada Thimmakka has been named one of the 100 Most Influential Women. She is the most senior in the list for planting 8,000 banyan trees in 80 years. The 105-year old woman, who is also known as ‘Saalumarada’, which means a row of trees in Kannada. She is also well-known for growing 400-Banyan trees and nurturing them as her children on 4KM stretch between Hulikal and Kudur villages. Saalumarada Thimmakka has become the inspiration of female empowerment undoubtedly. Thikkamma was born to a low-income family in Gubbi in the Tumakuru district. She had never attended to the school and at the age of 40 she has begun working as a coolie. She was married to Bekal Chikkaya from Ramnagar district. Unfortunately, the couple remained childless even after many years of marriage. Despite the disappointment, the couple started to treat trees as their children. “One day we thought why not plant trees and tend to them like we would our children,” Thimmakka told to the reports in the year 2013. Thimmakka is a recipient of numerous awards by the government of Karnataka. She also demanded the government for the maternity clinic to be set in her village and have to offer health care services to the poor. And now she has placed in the BBC Top 100 Women list. “How we planted and took care of the trees, everyone from children to the elderly should plant and grow trees. It will be beneficial for all of us,” said Thimmakka.